At the 404 Dental Office, we take all of the mystery and fear out of dentistry, while providing you and your family with quality dental care. Below is a list of our patients’ most frequently asked questions. If you have a specific question that is not answered here, see our Dental Tips & Information page or give us a call at 905-895-2100. 1. Do I need to get an X-ray every time I visit the 404 Dental Office? 3. How often do I need to visit 404 Dental for a check-up? 4. I dont have dental insurance but need to see a dentist. What do you recommend I do? 5. What are your payment arrangements insofar as insurance coverage is concerned? 6. Whats the difference between a pediatric dentist and a family dentist? 7. There is fluoride in our water. Do I still need to get fluoride treatments when I visit my dentist? 8. Is fluoride dangerous for children? 9. What precautions do dentists take to prevent the spread of germs? 10. Do wisdom teeth have to be removed? 11. Which brand of toothpaste is the best one to use? 12. Im pregnant. Can any dental products harm me or my baby? 13. When do I need to bring my child to the dentist for the first time? 14. What is a root canal? 15. 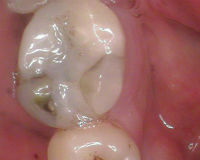 What are tooth fillings made of and are they safe? 16. What is a dental crown? 17. What is a dental bridge? 18. What should I do if I have a toothache? 19. How can I detect signs of oral cancer? 20. Will tooth whitening treatments harm the enamel on my teeth? 21. Im afraid to see a dentist. What is involved with your Asleep for Dentistry appointments? The frequency of dental X-rays you need depends entirely on what your specific oral health requirements are. A dental X-ray is a vital tool that helps your dentist detect potential problems early before they develop into more serious issues. In general, most people receive a dental X-ray once or twice a year. Dental X-rays emit very little radiation. In fact, they deliver one of the lowest radiation doses of all types of X-rays that are performed. Lead aprons and high-speed film are used to limit your radiation exposure. If you are concerned about radiation exposure from X-rays, the frequency of dental X-rays, or why you need an X-ray, talk to your dentist. There are no universal guidelines for how often you need to visit a dentist. Most people only need to visit us for check-ups twice a year and an annual cleaning once a year. Even if you take excellent care of your teeth, you still need to see a dentist on a semi-annual basis. People who are at high risk of tooth decay including smokers, pregnant women, diabetics, people with gum disease or weak immune systems, may need to see a dentist more than twice a year. If you dont have dental insurance and cannot afford to pay your bill all at once, we can arrange a payment plan with you. If you cannot afford dental care even with a payment plan, we recommend you contact either the nearest social services agency to see if you qualify for government-funded dental care, or a dental school with senior dental students who can provide regular treatments at a reduced cost. If you are unsure about the extent of your dental insurance coverage, we can contact your benefits carrier on your behalf to find out which treatments are covered by your plan and the dollar amount per year, and which ones are not. If you require a specific treatment that is not covered by your insurance, it is your responsibility to pay for that treatment. If you cannot afford to pay for a treatment all at once, we can arrange a payment plan with you. A family or general dentist is a doctor of oral health with three or more years of postsecondary education plus an additional four years of dental school training. A pediatric dentist is an oral care specialist who focuses on the oral health of children, and who has an additional two to three years of training after graduating from dental school. Pediatric dentists treat infants, young children through to adolescence, and those with special health needs. Health studies show topical fluoride treatments administered by a dentist can significantly benefit adults who are at moderate to high risk of tooth decay. Many adults suffer from dry mouth. 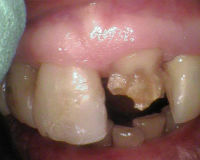 A reduction in saliva flow increases cavity risk. 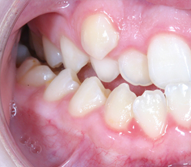 Also, adults commonly experience gum recession which exposes the root surfaces of teeth. The enamel in these areas of the tooth are not as hard as the enamel at the top of the tooth, in turn making them susceptible to tooth decay. Moreover, if you dont floss on a daily basis, youre increasing your risk of getting cavities. Topical fluoride treatments can help strengthen tooth enamel, prevent cavities, and reduce tooth sensitivity. As per the Royal College Dental Surgeons of Ontario, dentists have an obligation to maintain the standards of practice of the profession and must ensure that recommended infection prevention and control procedures are carried out in their offices. 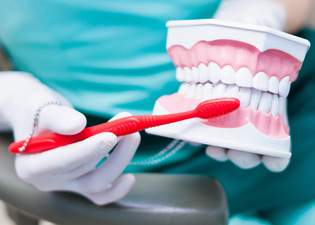 Basic procedures to safeguard against infection and the spread of germs includes your dental team wearing masks and surgical gloves and frequently washing their hands, and disinfecting and sterilizing all dental tools they use on every patient. The operatory (the room with the dental chair where patients are examined) is also cleaned after each patient visit. If you have any questions or concerns about dental office or staff hygiene, ask your dentist to explain to you what precautions and procedures we use to prevent the spread of germs and disease. No. 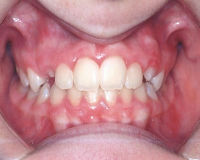 Wisdom teeth that are healthy and that fit comfortably in your mouth do not need to be removed. However, if your wisdom teeth are impacted (so far back in your mouth they are growing improperly), are causing you to suffer severe headaches or mouth pain, or if they reveal signs of disease or infection upon examination, you do need to have them removed by an oral surgeon. If you are concerned about your wisdom teeth or their removal, talk to your dentist. There are several brands of toothpaste that are recognized by the Canadian Dental Association which are trusted by consumers based on sales volumes. We recommend you use a toothpaste that bears the Canadian Dental Associations seal of approval and one that contains fluoride. Its wise to be examined by a dentist during pregnancy because the hormones in your body can affect your gums and morning sickness can cause tooth decay. Be sure to tell your dentist in advance of your examination that you are pregnant. In general, dental products are not harmful to pregnant women or unborn children, but amalgam fillings and X-rays are not recommended for women who are pregnant. If you require dental work during pregnancy, the best time to schedule it is between the fourth and sixth month of your pregnancy, aka the second trimester. The Canadian Dental Association recommends having your child assessed by a pediatric dentist within six months of the eruption of your childs first tooth, or by one year of age to prevent any dental problems. 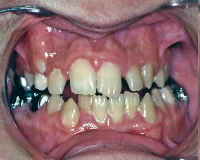 Your childs teeth should be examined by a dentist every six months. A root canal is a dental procedure that is used to replace the infected pulp or nerve within a tooth with a gutta-percha cone. Gutta-percha is a tough, plastic-like substance derived from latex that resembles rubber. This procedure is performed by a dentist or endodontist and involves removing the damaged pulp, disinfecting the area, and then filling and sealing it. There are a number of steps required to performing a root canal including an X-ray, a local anesthetic, a pulpectomy (an opening is made in the tooth to remove the infected pulp), and filling. Contrary to popular belief, a root canal is no more painful or onerous than having a cavity filled. 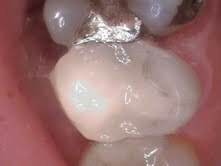 There are two types of tooth fillings: dental amalgam or silver fillings, and gold fillings. Dental amalgam fillings consist of several metals including mercury, silver, copper and tin, and are the least expensive type of filling. They have been used for more than 150 years in countless patients worldwide. 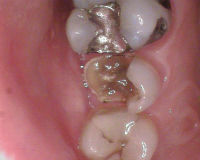 Gold fillings consist of gold, silver, and copper, and are based on a cast of your tooth. 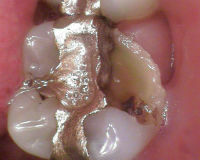 Gold fillings are stronger and more durable than amalgam fillings but they are also more expensive. 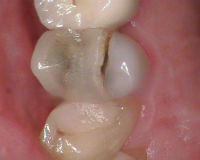 Both types of fillings are safe and do not cause illness. A dental crown is a tooth-shaped cap that is affixed to the top of an existing tooth to restore its shape, strengthen it, and improve its appearance. 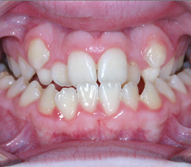 It is an artificial tooth that is used to cover a damaged or severely decayed tooth. Crowns are cemented onto your existing teeth and can only be applied or removed by a dentist or prosthodontist. There are four types of crowns: metal, composite, porcelain, and porcelain-fused-to-metal. Metal crowns are made of gold but do not look natural compared to your other teeth. 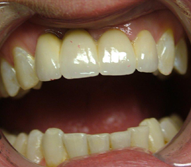 Composite crowns do look natural but tend to wear down more quickly than other crowns, and over time, brushing will remove their polished surfaces that can lead to staining. 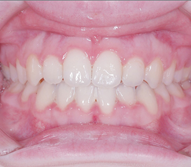 Porcelain crowns look natural but are more brittle than metal or composite teeth. 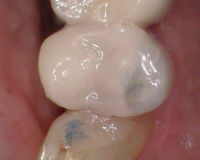 Porcelain-fused-to-metal crowns look natural and are stronger than porcelain or composite crowns. Crowns can last for up to 10 years. 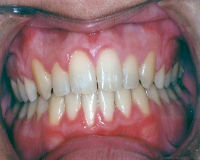 A dental bridge, or fixed bridge, is a fixed prosthetic device used to bridge a gap between teeth. Dental bridges are permanent, cemented onto your existing teeth or implants, and can only be removed by a dentist. There are three different types of bridges: traditional fixed bridges, cantilever bridges, and resin-bonded or Maryland bonded bridges. 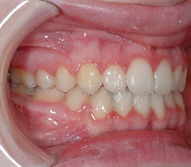 Traditional bridges are comprised of an artificial tooth with two or more crowns. 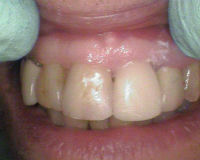 Cantilever bridges are used when there is only one supporting tooth instead of two to bridge a gap. 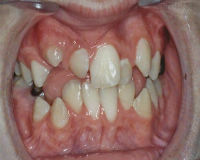 Maryland bonded bridges are typically used to replace front teeth. 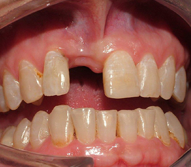 They are made of porcelain and are fused to a metal framework that is bonded to either side of your existing teeth. Bridges typically last for about 10 years. If you are experiencing any type of pain in your mouth, we recommend you contact your dentist immediately. Besides sharp pains, signs of a toothache include the swelling of the gums, fever, and a foul taste in your mouth. To help alleviate pain until you see your dentist, rinse your mouth with warm salt water, apply a cold compress onto your face to help reduce swelling, and take only the recommended dose of acetaminophen or ibuprofen. Your dentist routinely checks for signs of oral cancer during your regular visits. 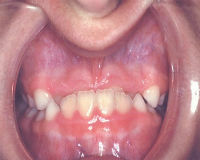 However, if you notice any unusual changes to the colour of your gums, tongue, the sides of your tongue, or the tissues beneath your tongue, or if you notice any strange growths or cuts that dont heal in your mouth, are experiencing pain in your mouth, or are having trouble chewing or swallowing food, be sure to tell your dentist. Other possible signs include ear pain, difficulty moving your tongue or jaw, or swelling of the jaw. Anyone can be afflicted by oral cancer but people who consume alcohol or who smoke are more likely to get it. Also, the risk of oral cancer increases with age. No. 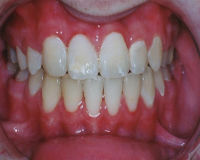 Whitening or bleaching treatments will not cause damage to the enamel or to any tooth structures. However, you might experience temporary tooth sensitivity after a whitening treatment has been applied for up to two days. Tooth whitening treatments typically last anywhere from six months to up to two years. If you avoid consuming red wine, coffee, and smoking tobacco, it will help to prevent teeth stains and to preserve the whitening treatment results. We recommend you speak to your dentist about tooth whitening beforehand to ensure it is the right treatment for you.